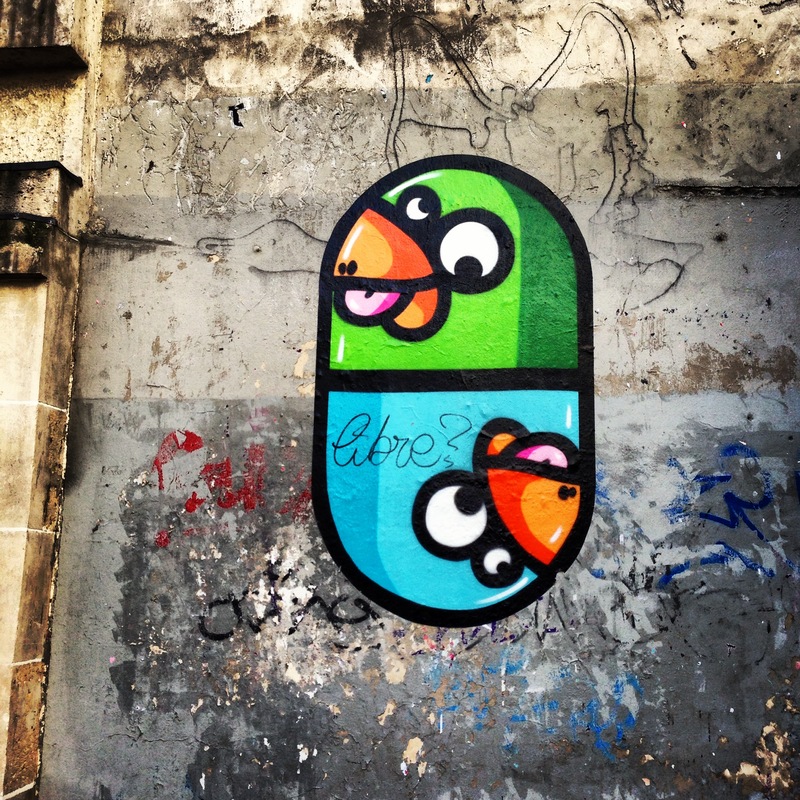 Angry Birds in Paris? | the (fake) parisienne. Have the Angry Birds landed in Paris? I came across this colorful street art in the Marais recently. I loved the contrast of these fluorescent blues and greens against the worn-out, graffiti-riddled wall. The (real) birds are finally back in Paris and tweeting away making my mornings generally happier. This past week however, the temps have just been unacceptable. It feels like we’re back to winter! Today was particularly cold and windy and the cloudy skies and random showers are making me very unhappy. Where or where did Spring go? Printemps…please please come back so I can finally experience dinners by the Seine and picnics in the park. It’s gotten chilly here this week too in New York. Sunday was beautiful and then the temperature dropped about 20 degrees. I went to work this morning wearing boots and four layers–I felt kind of ridiculous!! Here’s hoping the warm weather comes back soon. Haha sounds like me! Crazy weather! I can’t wait for summer!! !